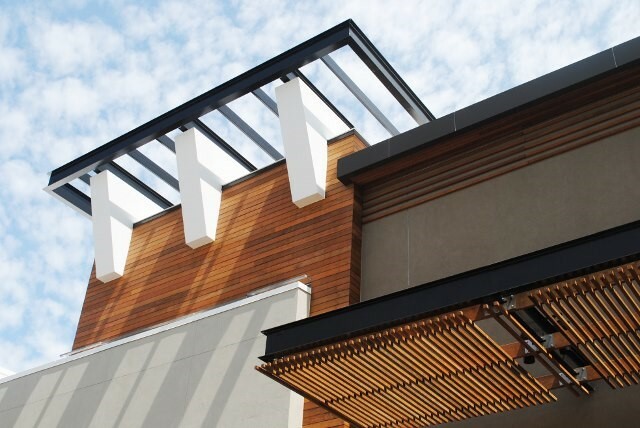 We want to help you achieve your design vision. 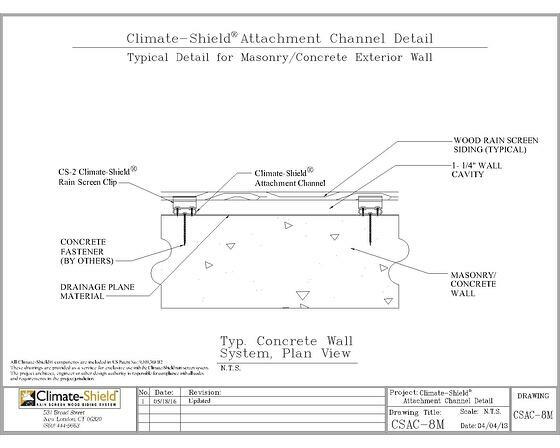 This web page was created as a repository of architectural details, drawings and specifications for the Climate-Shield® Rain Screen System. 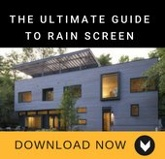 Please download files, as needed, for use in your exterior rain screen designs. 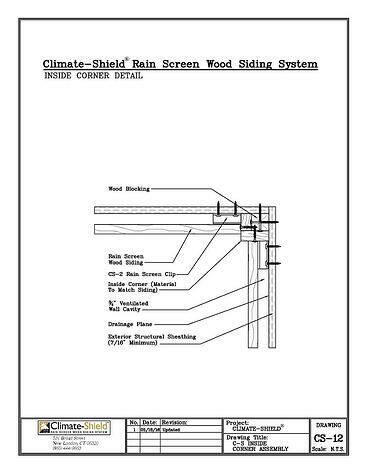 The following Climate-Shield Rain Screen System information covers some of the more common rain screen siding installations and design details. 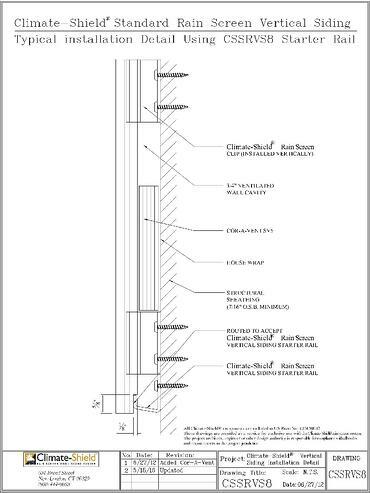 If your design presents additional or unique design challenges, please contact our Technical Team online, or call 860-444-7524 weekdays from 8am-5pm EST. 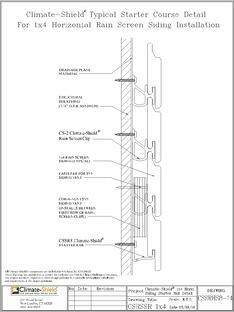 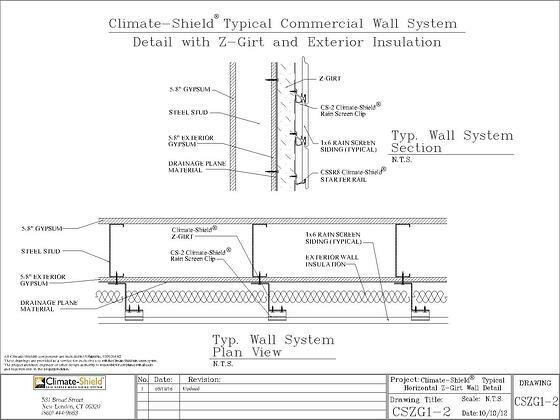 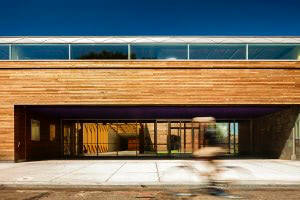 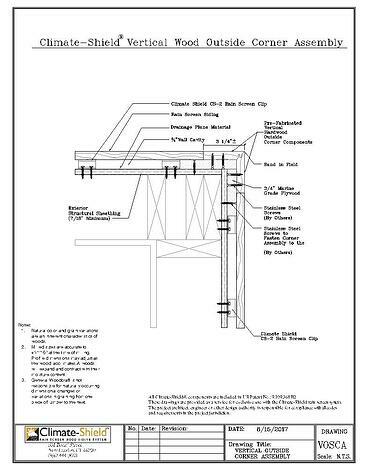 Architectural drawing for typical Climate-Shield vertical rain screen siding transition to rain screen soffit detail. 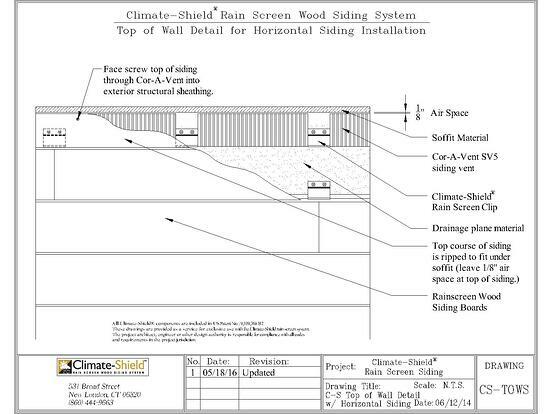 your Climate-Shield rain screen design. 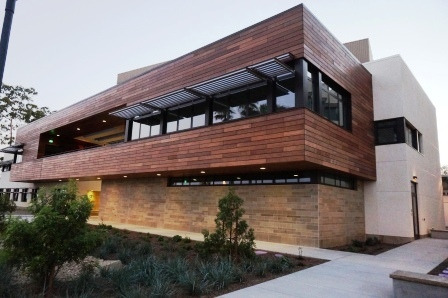 We have created the following architectural details for commercial design and construction, and/or other projects where non-structural exterior sheathing is required such as masonry exteriors, exterior gypsum sheathing and foam insulation used as an exterior sheathing. 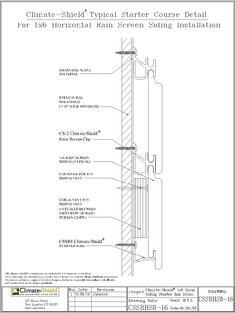 For additional design applications and questions, please contact our Technical Team weekdays from 8am to 5pm Eastern time, 860-444-7524. 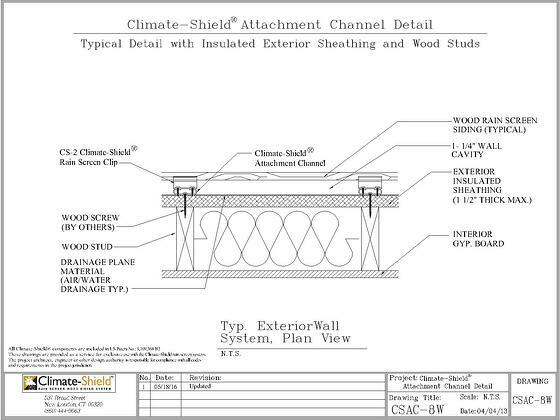 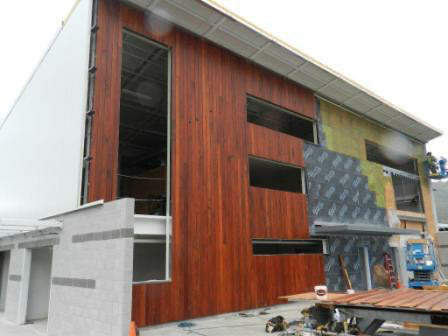 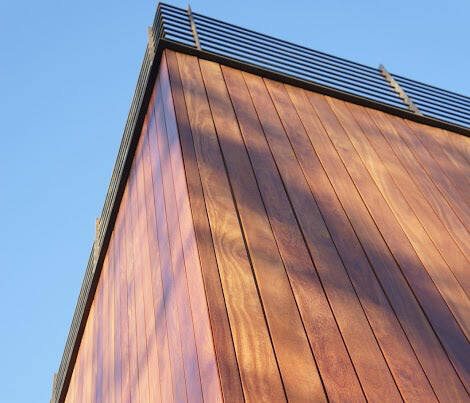 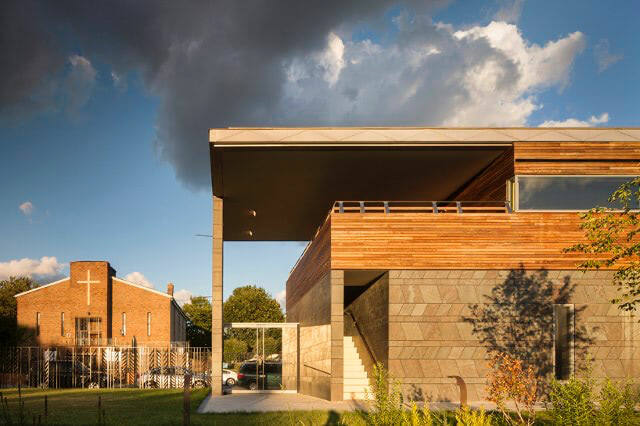 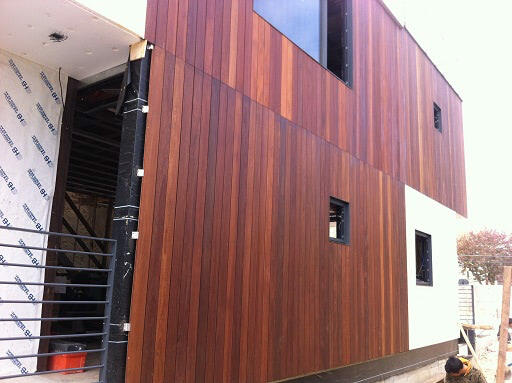 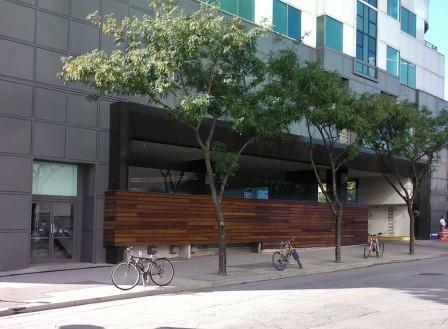 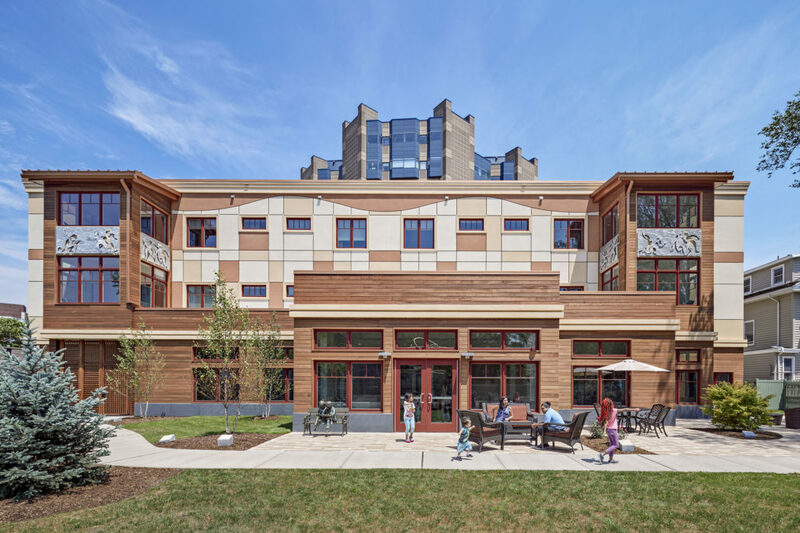 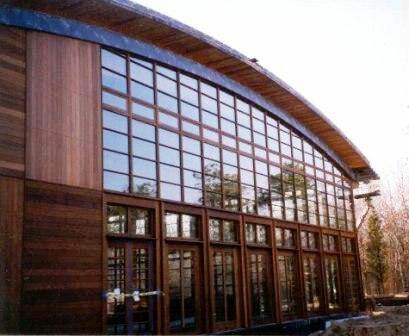 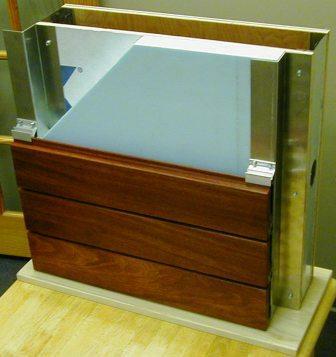 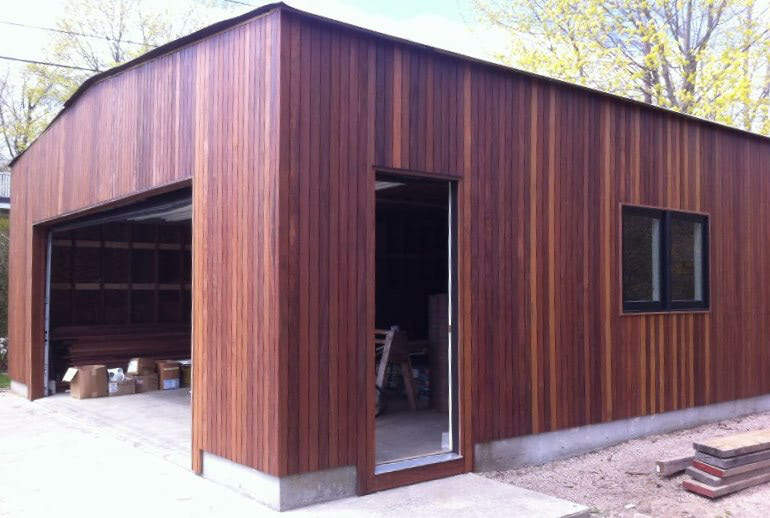 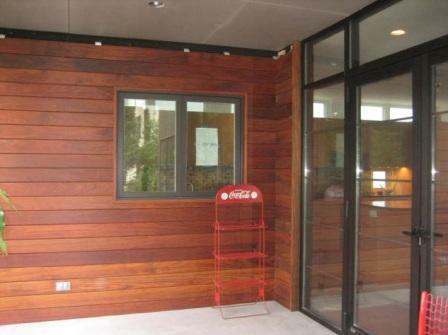 Architectural Details for rain screen wood cladding design over exterior insulated sheathing up to 1" thick* using the Climate-Shield attachment channel. 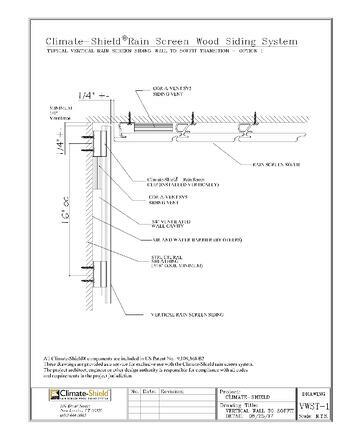 *For exterior insulation over 1" thick, consult with your project engineer for the proper size and spacing of the screws required to fasten the attachment channel to your substrate (screws not supplied). 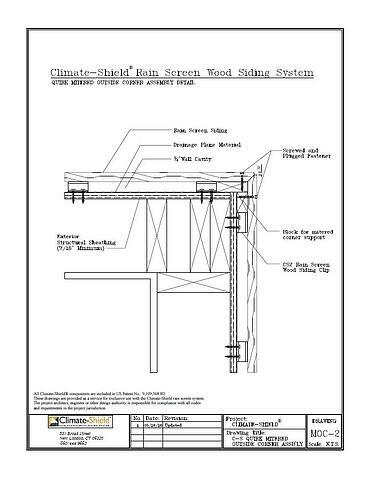 Architectural Details for rain screen wood cladding design over exterior insulated sheathing over 1" thick using the Climate-Shield Z-Girt. 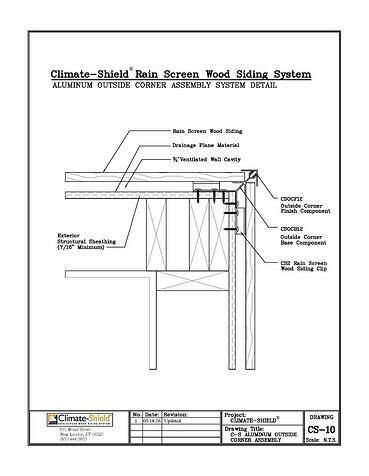 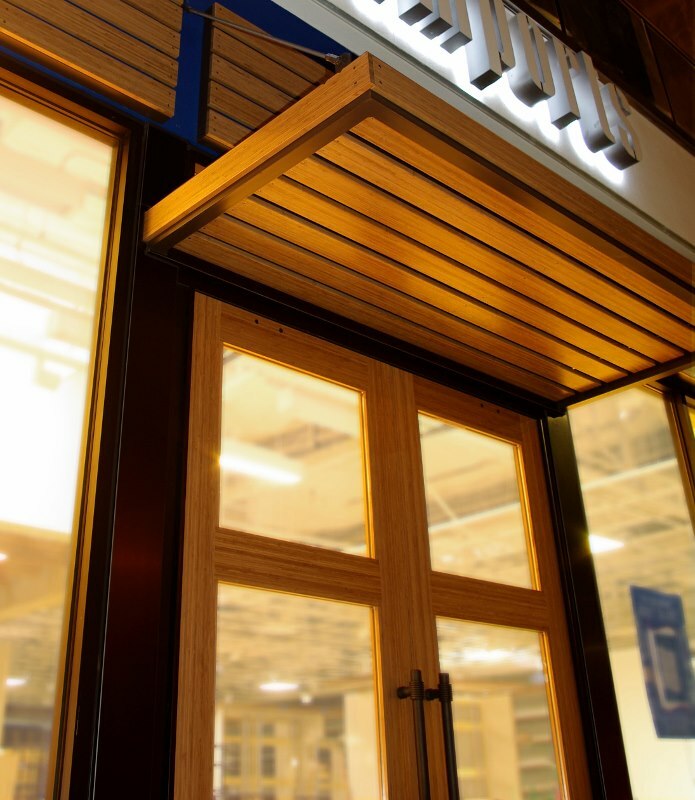 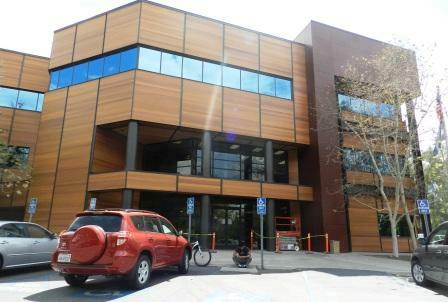 The Climate-Shield Aluminum Corner System can be powder coat finished to meet your design objectives.